Last night saw five artists from the world of Americana and country play live at The Forum, Tunbridge Wells. A highly anticipated gig for not only the artists themselves but the audience, made up of judges from Black Deer, Supajam school, The Forum and AMA UK who reviewed their 30-minute sets with a view to earmarking a stage slot and day to each at this year’s Black Deer Festival. Following an open search to find the best emerging Americana and country music acts to perform at the inaugural Black Deer Festival from 22nd – 24th June 2018, five acts had been chosen from a field of over 150 entries. Opening the night was the Lew Thomas Band, a 5-piece country-rock band from Derbyshire who possess an enthusiastic energy on stage. Great guitar riffs and frontman Lewis’ tone make a perfect fit for the festival vibe this June. Katie grabbed a quick chat with them to hear more about what made them take part in the competition. 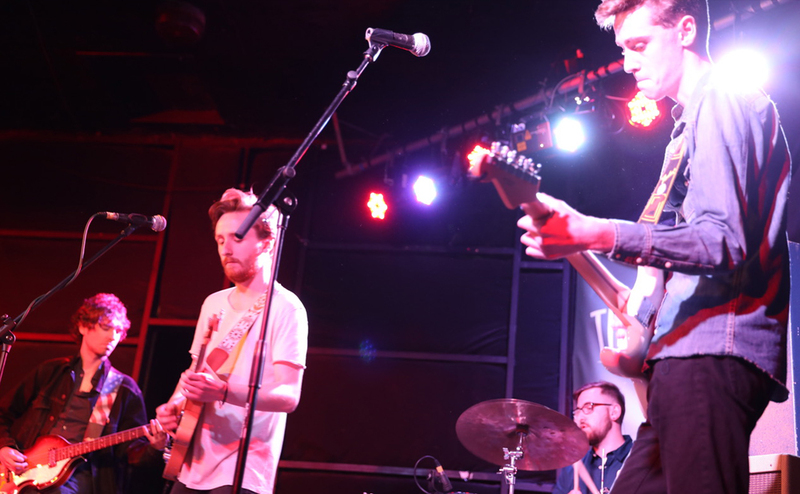 “The Lew Thomas Band’s frontman Lewis enlightened me that the ‘line-up’ was what interested him in Black Deer and explained how he was ‘absolutely buzzing’ when he found out they achieved a slot. It’s especially exceptional considering this is the ‘first year we have properly gone for it.’ He also added they would be performing songs from their latest EP ‘Laid Out On The Floor’, which I highly recommend; be ready for goosebumps. 2. ‘stay true to yourself and stick to what you like and love don’t follow the crowd’ 3. ‘be confident’. 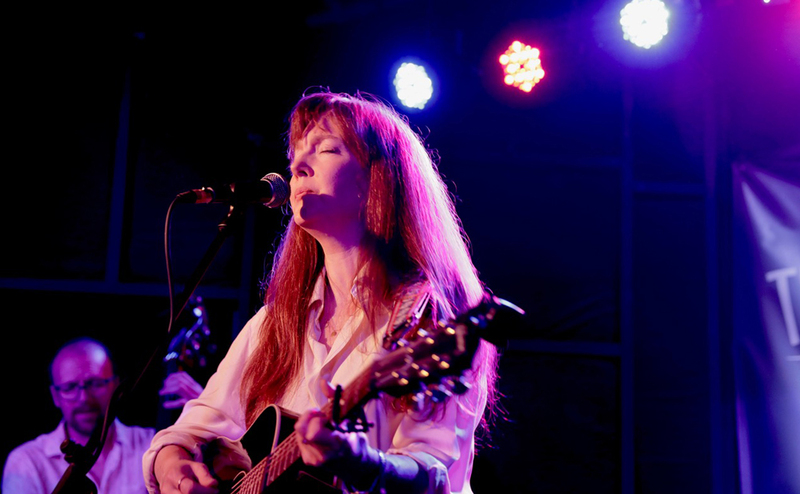 The singer-songwriter revealed she was interested in Black Deer was because of the line-up, naming Jason Isbell and the 400 Unit and Sam Palladio who are featured on the bill, as well as it being ‘a thrill to be a part of a festival that will increase the popularity for Americana and Country in the UK’. Excited to hear she had made the final cut Katie (Supajam) went on to speak with her about her music and found out that she ‘might’ perform a track that has been “waiting in the wings called ‘Can’t Not’. Heading to some of the more local legends that had secured themselves a spot, the enigmatic Matt Pound and Tom Jennings from Kent represented Lt. Leek. They gave a captivating acoustic performance minus fellow band member Immie Mason. Huddled around one mic their wonderful ability for bittersweet song writing ended with a singalong performance perfectly harmonised by the audience to Iggy Pop’s The Passenger. Adding the finale to the night’s performances were the multiple bodies of the Paul Dunton Orchestra. 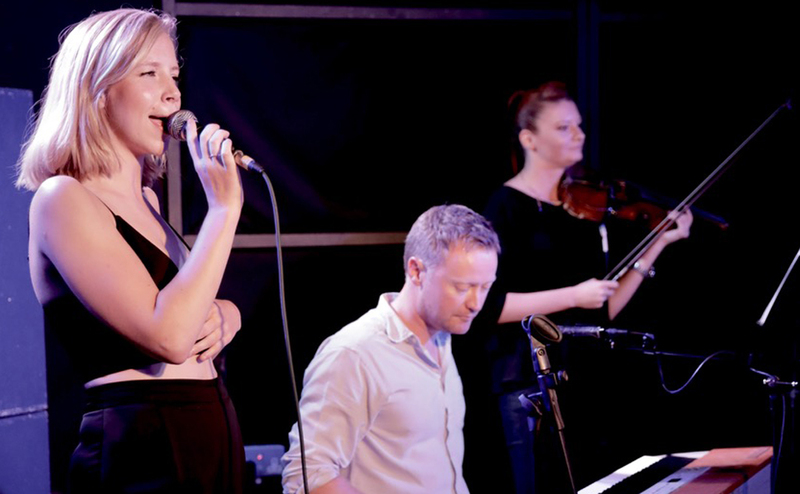 Dunton, whose passion for music has been inspiring the locale for some time, leads his crossover orchestra to conjure an atmospheric fusion of folk, pop and country with a classical twist. Everyone swallowed and stopped dead when rhythmic singer and incredible vocalist Poppy Raine melted out Massive Attack’s ‘Teardrop’. 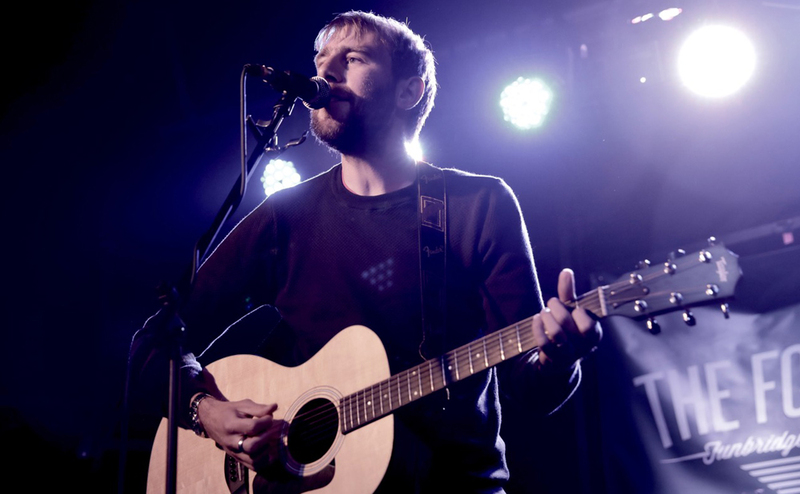 As some of the bands had other commitments and many miles to travel following their sets, the organisers decided to wait until the Black Deer Festival to honour the handmade Dave Cash Tribute Award to the best performance. Something else to look forward to. To follow: Check the next instalment from Katie’s five-piece feature for Black Deer via the website in the form of The Existence of a Music Student, and catch up on Part 1 and part 2, now.